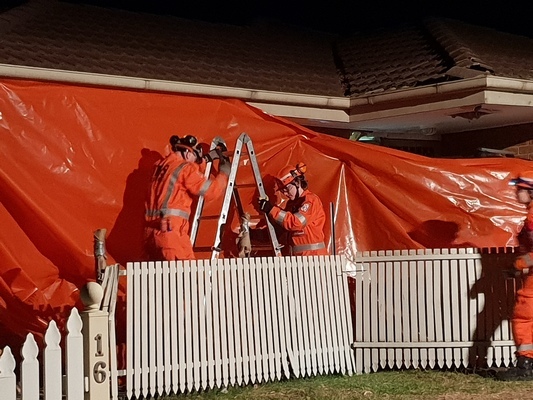 SES crews tarp the front the of the house. 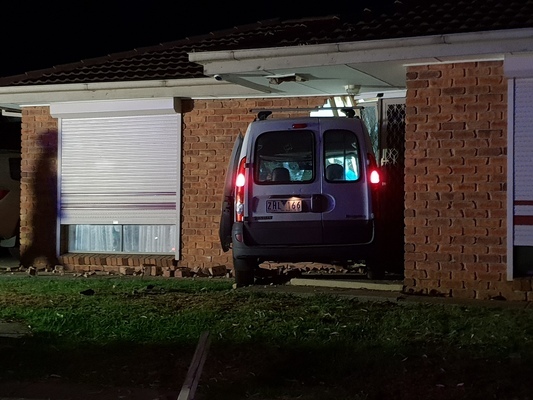 Residents of a house were lucky to escape unharmed after a driver crashed into their home in Cranbourne West last Tuesday night, 22 January. 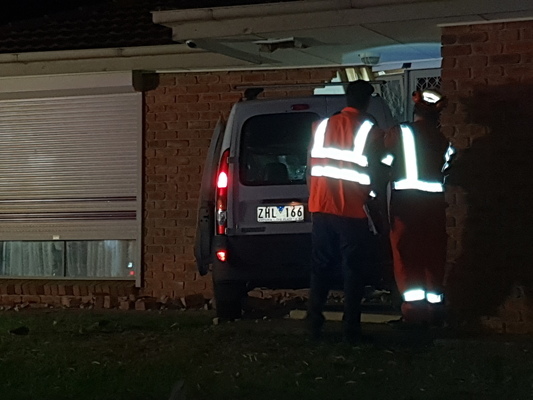 Police have been told a car left a premises in Bates Street, went through the front fence, across the road and into the front of a house about 9.20pm. 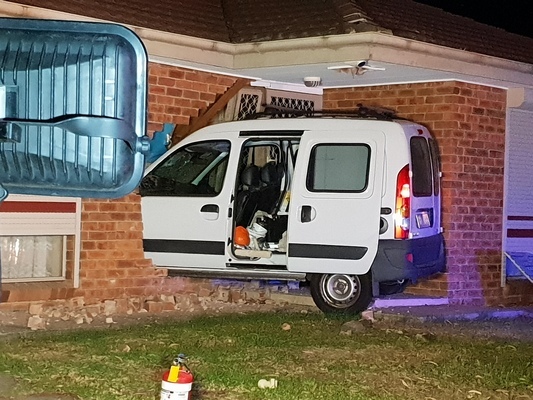 “The car ended up in the lounge room. 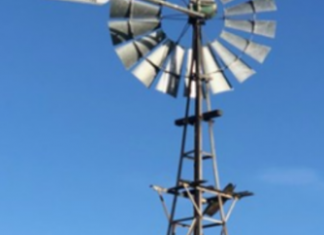 Fortunately no-one was injured and the investigation into the crash is ongoing,” Victoria Police spokeswoman Elaine Cooney said. Fire crews from Cranbourne and Langwarrin fire brigades were also on scene. A CFA spokesperson said no one was trapped, and there were no hazardous leaks from the vehicle.